December 21, 2015 This post may contain affiliate links. A couple weeks ago, my daughter was sitting at the table with me while I was working. She had a whole pile of Hershey’s Kisses chocolates and Rolos spread out in front of her, and, like any good kid, she was piling them on top of each other and building things. Oh, yes, and also sneaking quite a few. She’s nothing if not true to her age! Now if you’ve been around kids any amount of time, you know that usually that statement is followed by some kind of creation that doesn’t look much like anything. But this, I squealed right back, “It’s a Christmas tree”!! Look how adorable they are!! 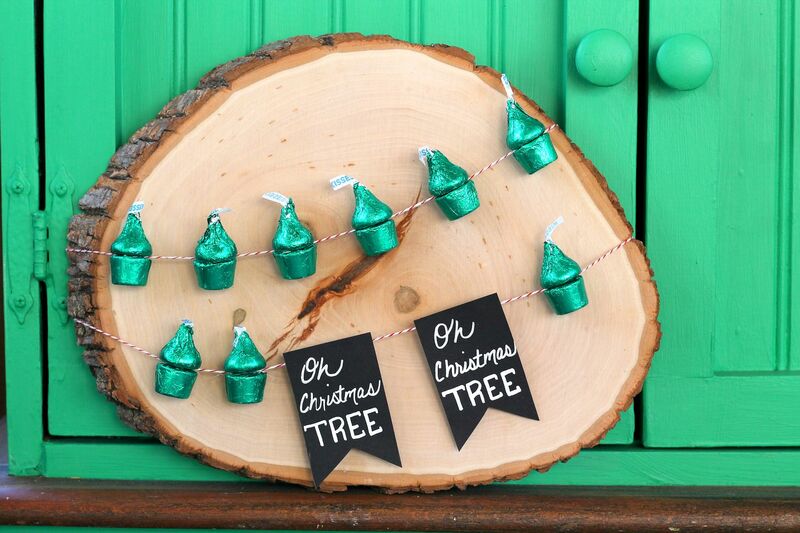 It’s a perfect little garland of Christmas trees made using some of our favorite candies. And truly, isn’t that what the holiday season is all about?! Sitting around with your family, creating and talking and helping to inspire each other! I love that she came up with the base of this craft, and then together we elaborated upon it. You know who else loves that? My daughter! Every time somebody stops by, she points to the garland and is sure to let them know that she thought of it! 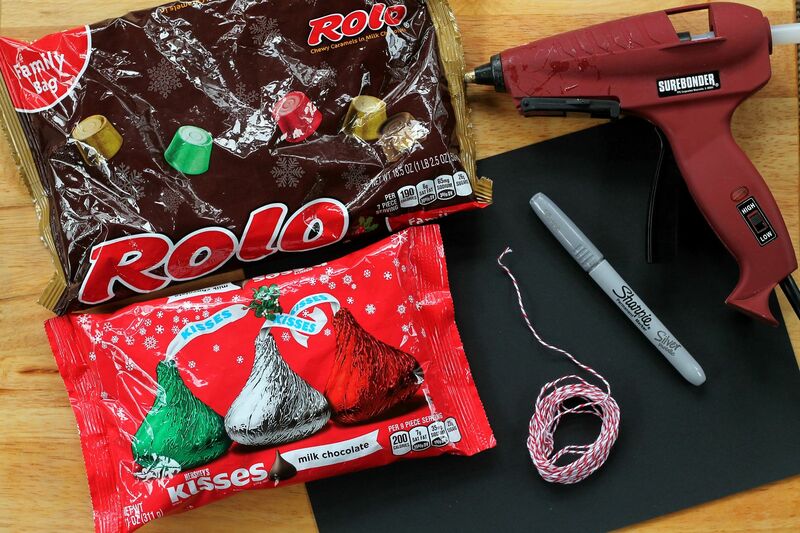 Step 1: Put a small dab of hot glue on the bottom of a Rolo and lay the baker’s twine right across the glue. Be sure your glue dot is centered on your Rolo. 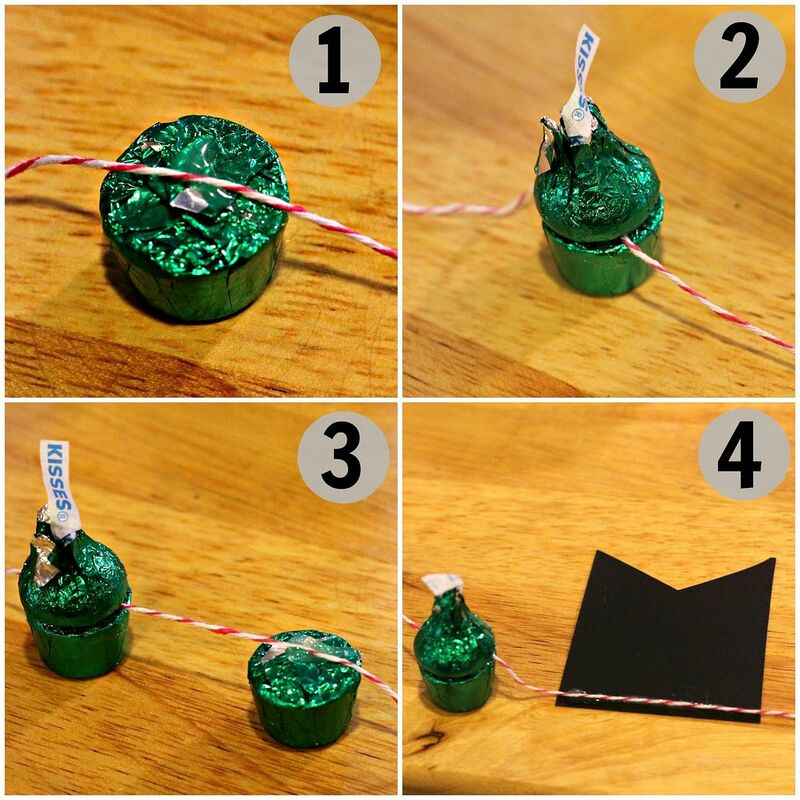 Step 2: Place a Hershey’s Kisses chocolate right on top of the glue dot. The baker’s twine should be sandwiched in between the two. 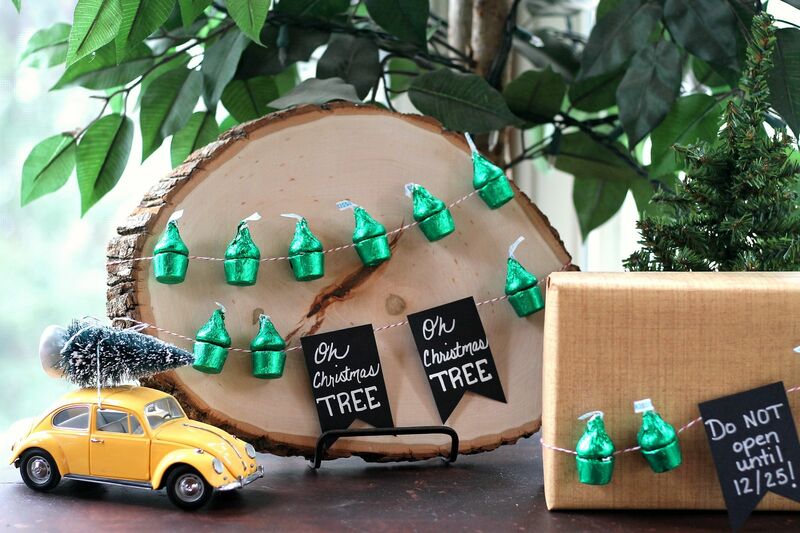 Step 3: Repeat steps 1 and 2 as you move down your twine until you have your garland the length you choose. Step 4: This step is optional. If you would like a garland, cut pennant shapes from your black construction paper and use hot glue to adhere to your twine. 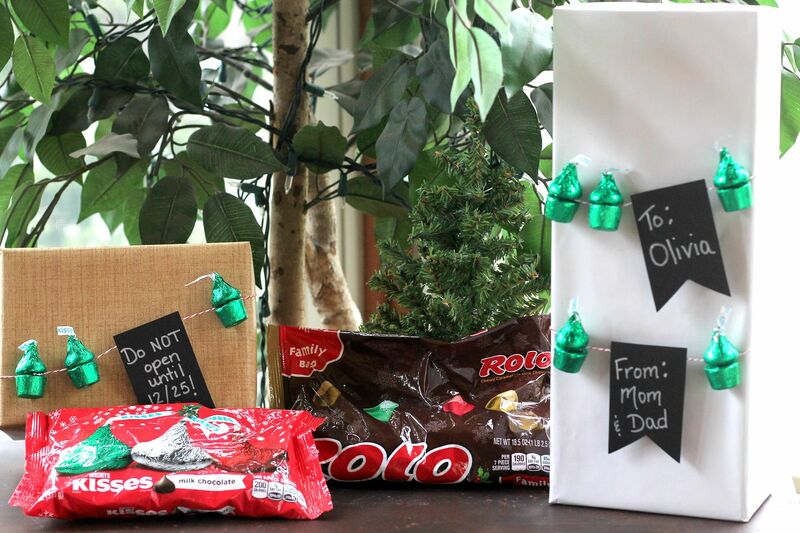 Write a message with your Sharpie. Just attach it to the surface you want to display it on! We picked a wood slice. 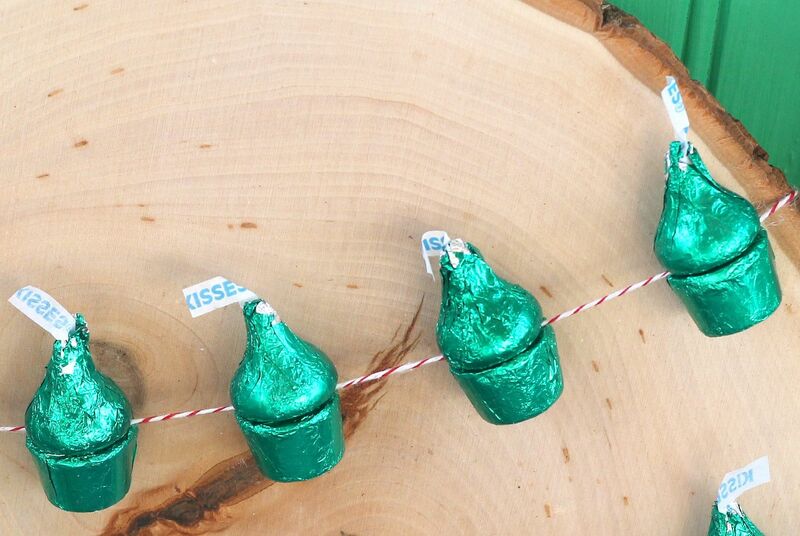 Watch this video to see just how quickly and easily this Hershey’s Kisses and Rolos Garland came together! Once we were done, we couldn’t stop! 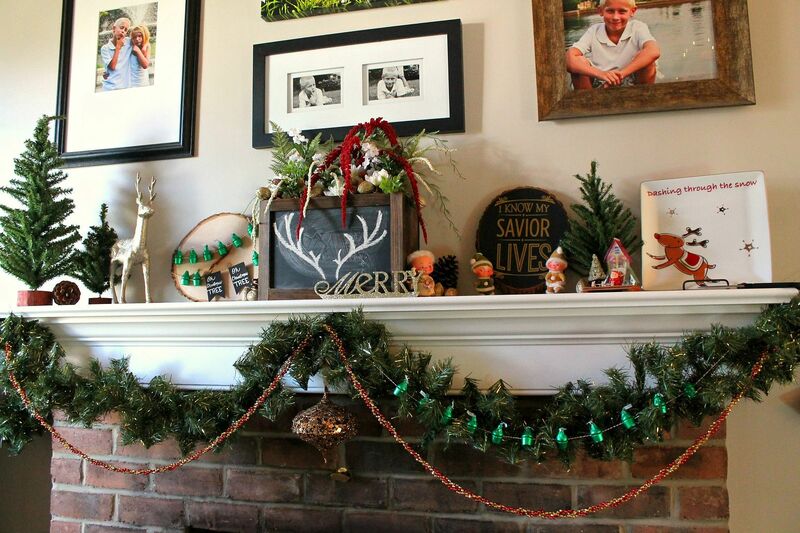 We made more garlands to use as holiday gift wrapping. Look how festive those gifts look! 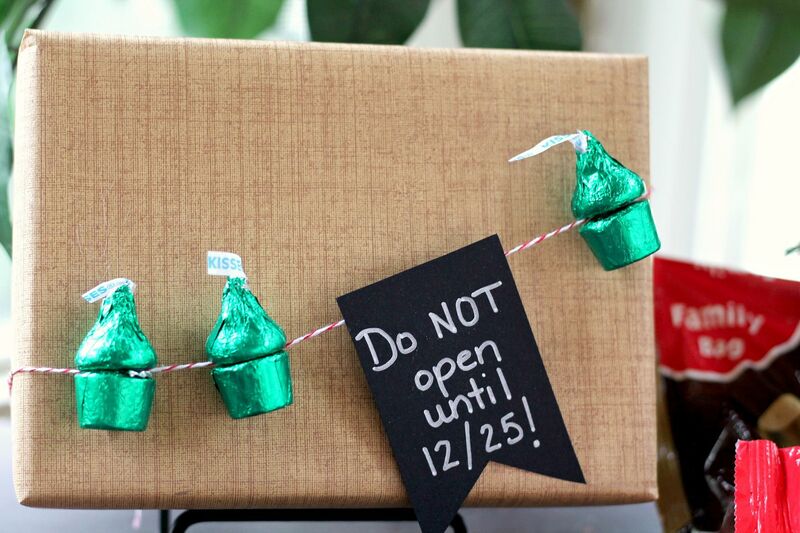 And the recipient will have a sweet treat after she opens it too! 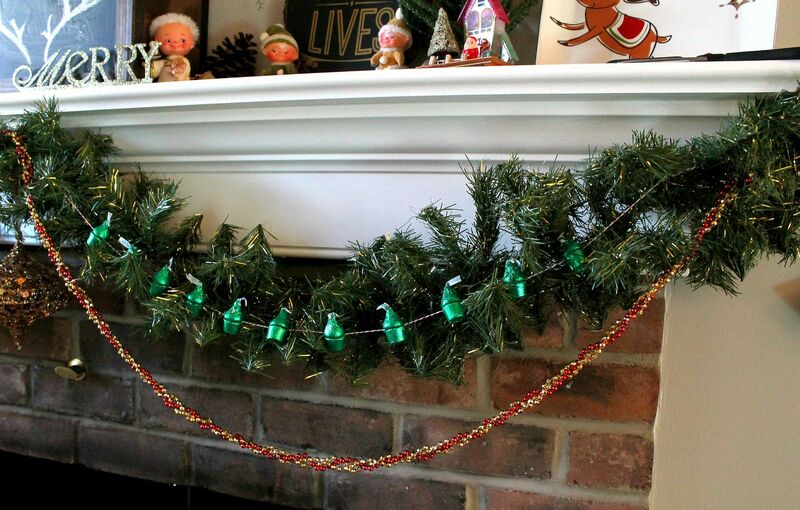 I even made some extra long ones to embellish the swag we have across our fireplace mantel! Look at the difference between the side that is embellished and the side that isn’t?! 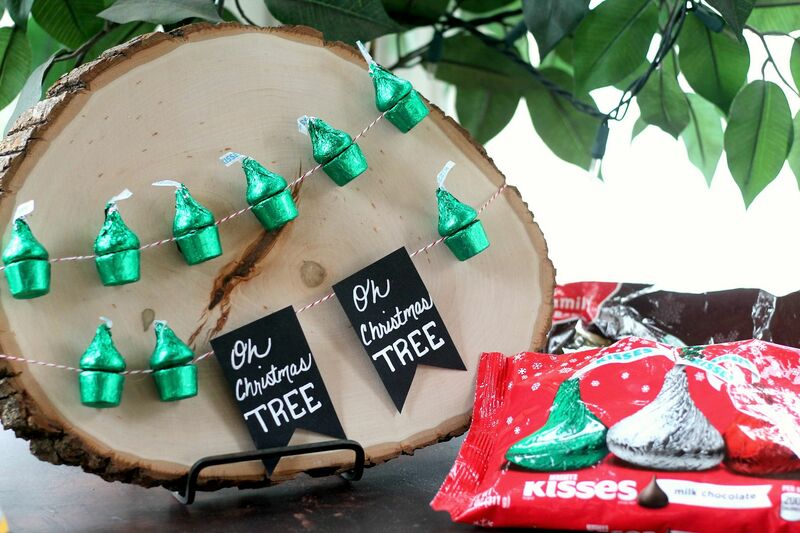 Be sure to visit The Hershey Company for more project ideas and recipes!